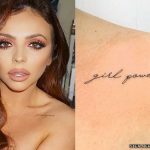 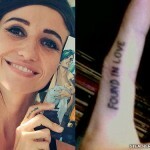 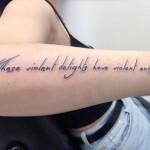 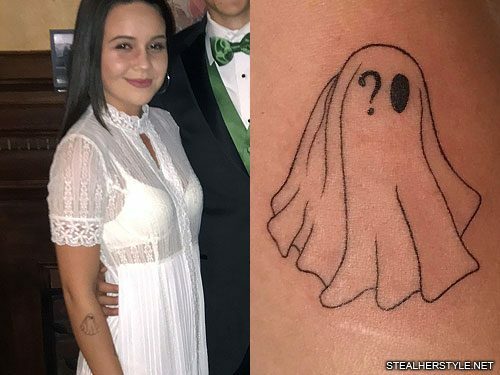 Alex Dorame has a tattoo on her left upper arm with Polaroid pictures of ghosts and the message NO FEET. 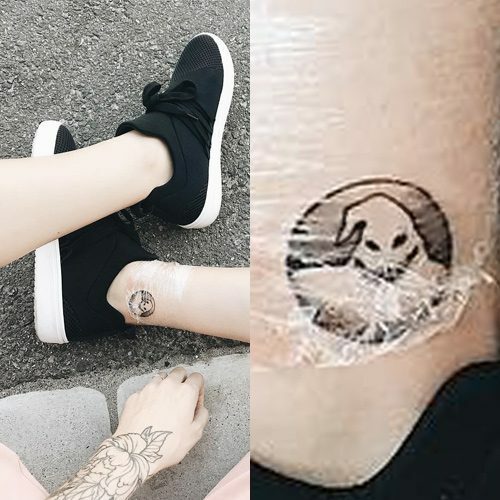 Acacia Brinley Clark got an “Impulsive Friday the 13th tat #CAUSEIMTHEOOGIEBOOGIEMAN ?⚰️? 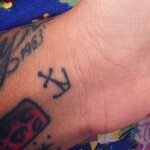 ?” on her right ankle. 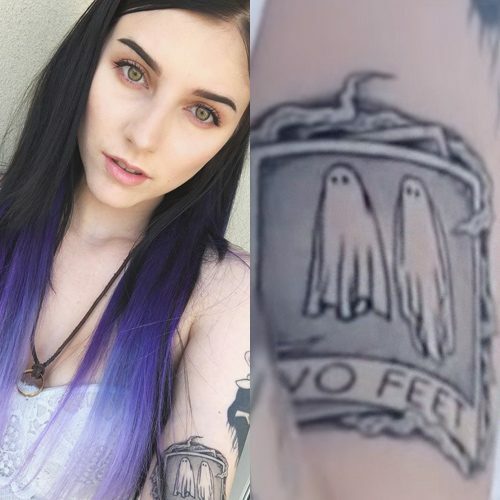 Frances Bean Cobain gets a person in a ghost costume inked on her lower back on the left side. 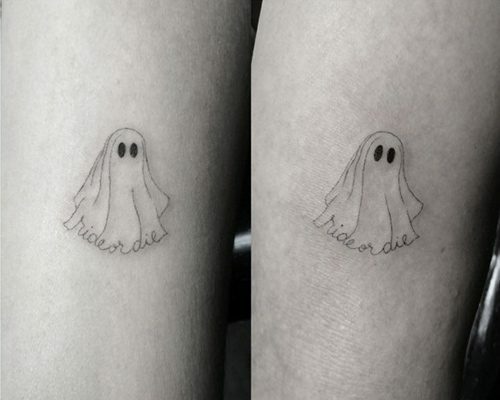 Hilary Duff and her best friend Alanna Masterson got matching ghost tattoos in July 2014. 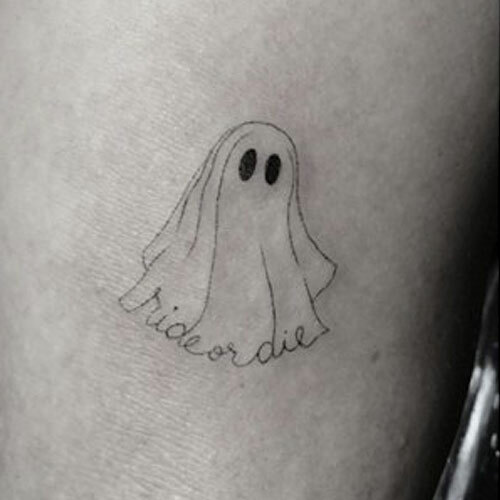 The words “ride or die” are incorporated into the bottom edge of the ghost.